There’s a lot of uproarious laughter, and Gosling turns to booze to steady himself. He also pretends to storm off at one point, and drops a pretend microphone. 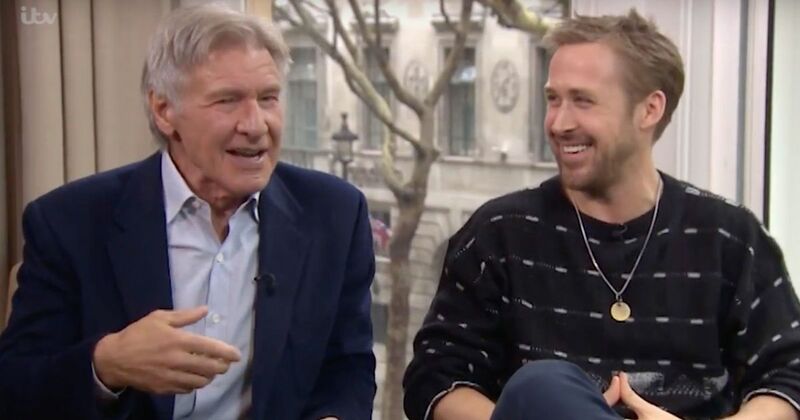 However, dropping his imaginary mic doesn’t stop him trying to harmonise with Harrison Ford. They manage to talk about the film a little, but they’ve been doing so much of that recently it’s nice to see them relax and turn into big kids, right down to the affectionate teasing.